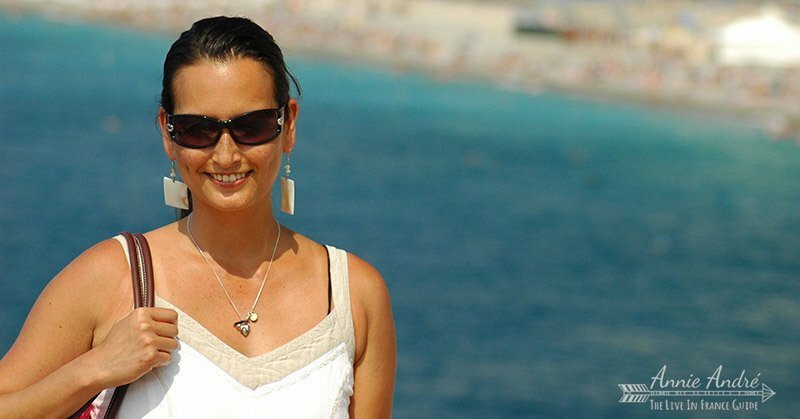 Nice is located in the South of France on the famous French Riviera also known as le Cote d’Azur and to be honest, it’s nothing like I expected, but that’s a good thing. It’s difficult to describe but Nice is to Paris what New York is to Beverly Hills, what Texas is to California, what east coast is to west coast etc. Same country but totally different vibe. Not better not worst just wonderfully different. Don’t get me wrong, the people of Nice are still very French. They love their wine, cheese and baguettes but Nice definitely has its own flair. It is after all the on the French Riviera. We were lucky enough to spend a whole month in Nice which means we ran out of touristy things to do and were able to chill out like a local. 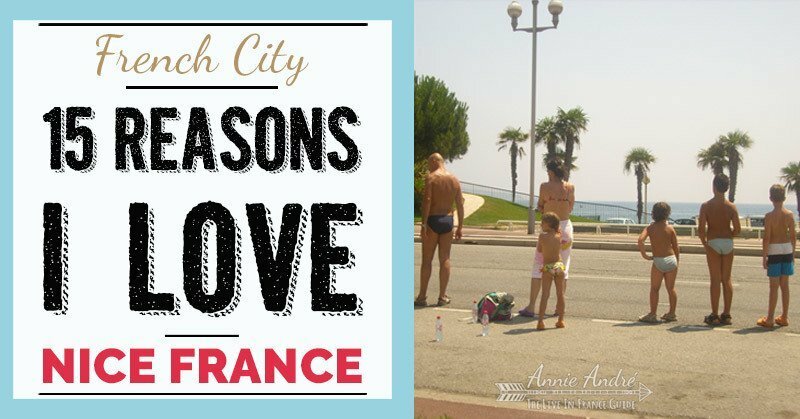 Here are some of the reasons why I loved Nice so much. I read somewhere that Nice has an average of 300 days of sunshine per year which makes it the perfect place to go for mild weather all year round. Spring and Autumn are the best times to go to Nice in terms of weather. It’s warm and sunny but not sweltering hot. As early as February, you can start to wear t-shirts and shorts and then there’s famous Nice Carnival, one of the most popular events on the French Riviera which attracts hundreds of thousands of spectators every year. The summer months, July and August are the hottest and the busiest time of the year. Temperatures rise to the 80’s F and 90’s F but the heat is intensified by the city and humidity and it can feel 10 to 15 degrees hotter than the thermometer reads. Luckily gelato ice cream and the sea are never far so it’s easy to keep cool. 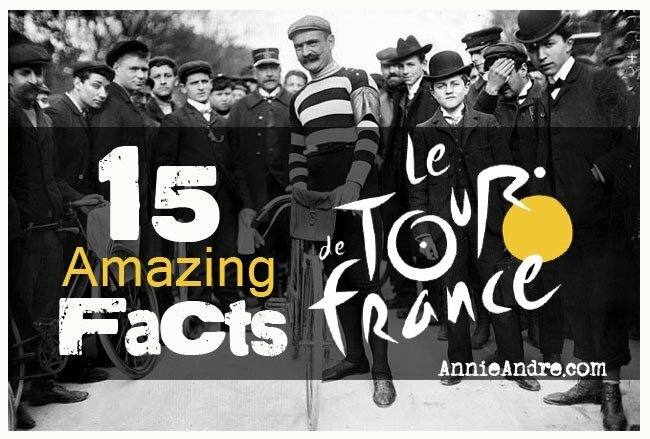 There’s also the world-famous Tour de France in July which passes right through Nice. If you think Nice is just a summer or spring destination think again. Even on a cold day, Nice is still destination-worthy as long as you know what to expect. Temperatures can drop to the 40’sF (5c) and it can rain up to 7 days a month but the city still has plenty to do especially around Christmas time and New Years. Here’s the 10-day forecast in Nice France. Here is a live webcam of “Le promenade” in Nice France where you can see how beautiful it is right now. Remember how I said Nice was different. Well even it’s food is different. You definitely can see and taste the Mediterranean influence. Think Mediterranean diet and lots of foods made with resources from the local countryside: Olive oil, garlic, anchovies, fruit and vegetables etc. Here are just five dishes that are very typical, quite popular and can easily be found throughout Nice. 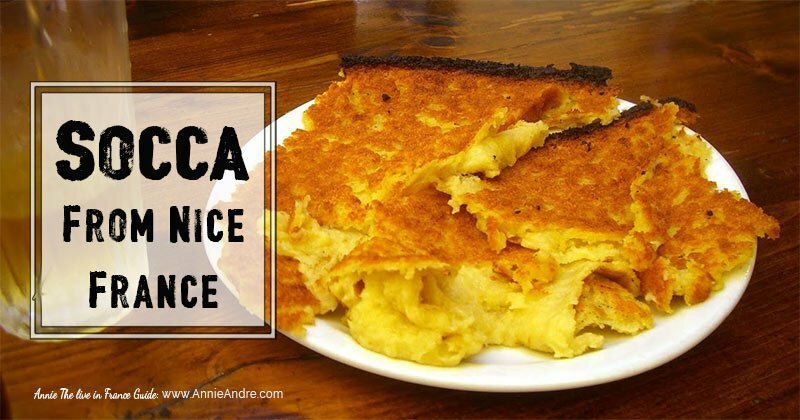 Socca: A type of pancake made from chickpea flour. It’s an excellent street food. Make sure you ask for pepper and salt. 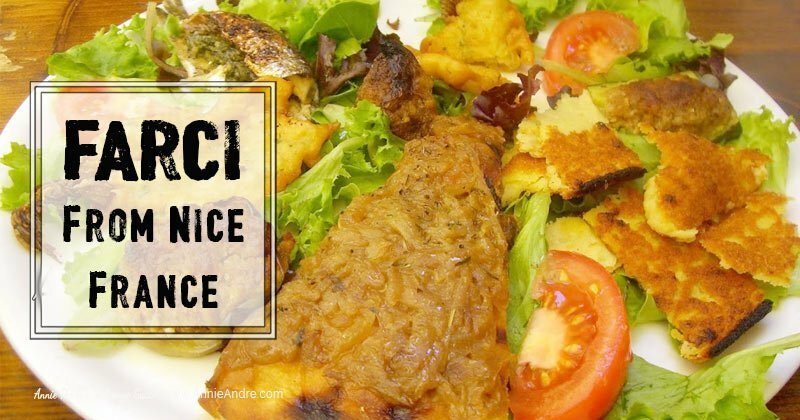 Farcis Nicoise: The word Farci means stuffed. This is a dish made from vegetables such as tomatoes, zucchinis and mushrooms- all stuffed with breadcrumbs and ground meats. If you see this on the menu, do yourself a favour and try it. Pissaladière: Think of this as a Provençal pizza without the tomato and cheese. 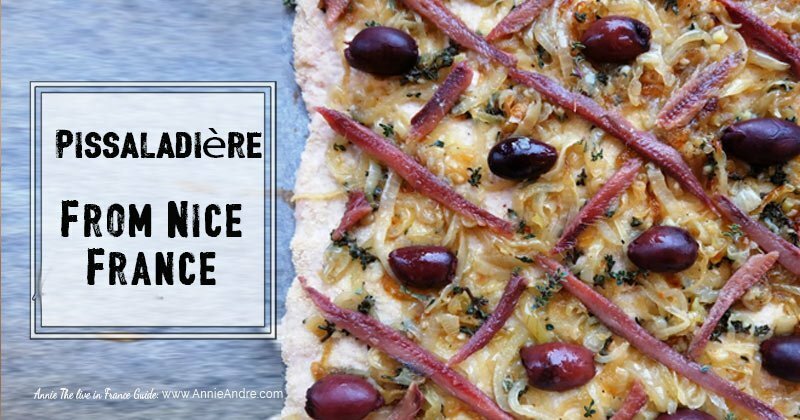 It’s essentially an open-faced tart, topped with caramelized onions, olives and anchovies. Pan-bagnat: In addition to your typical Brie sandwich keep your eye out for the “Pan-bagnat”. It’s unique to Nice and a very popular street food sandwich. 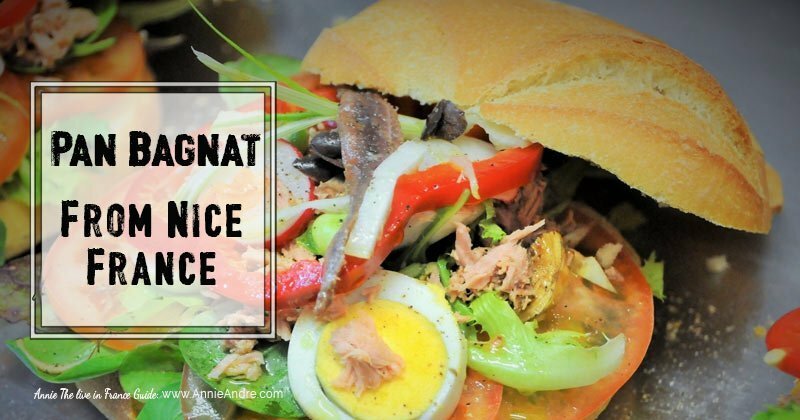 The best way to describe it is a salad in a sandwich because the filling is essentially a salade niçoise: hard-boiled eggs, olives, garlic, tomatoes, tuna or anchovies. All served on a large country roll (pain de campagne) bathed in olive oil. Optional seasonings include balsamic vinegar, salt and pepper, but never mayonnaise. 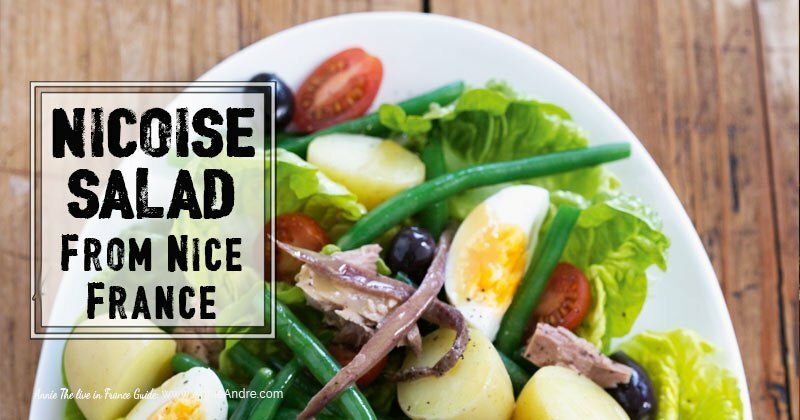 Salade Niçoise: (French pronunciation: [ni’swaz]. I believe Julia Childs made this salad famous in the U. S. but it has its origins in Nice France. It usually comes on a bed of greens topped with various fresh veggies such as fresh tomatoes, green beans, olives and sometimes eggs and tuna. There are many variants on how this salad is made. Some even come with cold potatoes it. This would be the perfect meal after a hot hot day of swimming. Nice France and it’s surrounding area are the playground for the rich and famous. For instance, Bill Gates, Keith Richards, Elton John, Tina Turner, Sean Connery and even Brad Pit and Angelina Jolie all have homes in the area. Not your typical home. Hotel sized homes. Just for kicks and giggles, here is a photo of Bill Gates Villa which he purchased for a sum in excess of $76 Million. Microsoft Co-founder Paul’s Allen’s Maryland Villa is minutes away. We never got to actually see any of these famous homes but you can try can’t you? The Tour de France, primarily held in the month of July, begins in Monaco and passes through Nice and we were there to witness it. I’ll never forget the sound of hundreds of cyclist pedalling past us in a frenzy. What a rush. And then it was over within minutes and we all jumped in the sea to cool off. One of the best parts of being in Nice was being able to enjoy miles and miles of coastline beaches. You could literally spend the whole day at the beach. Make sure you always wear flip flops because the beaches in nice are covered in jagged rocks and pebbles which can get extremely hot in the sun. 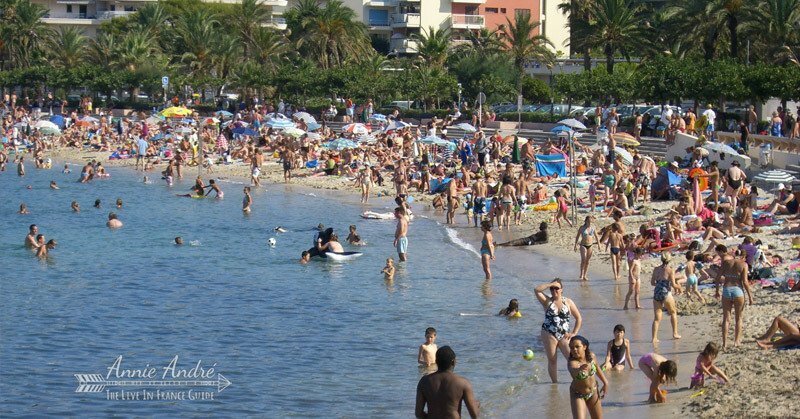 If rocky beaches aren’t your thing, you could visit the beaches in neighbouring towns which tend to have sand like in Menton which is the last city in France before you arrive in Italy. Or you can pay 15 to 20 euros a day for a private beach. Many of the private beaches truck in their own sand have private lawn chairs and servers who will take your drink order. Needless to say, it’s also less crowded because not everyone wants to spend 15 to 20 euros just to sit in their own chair. 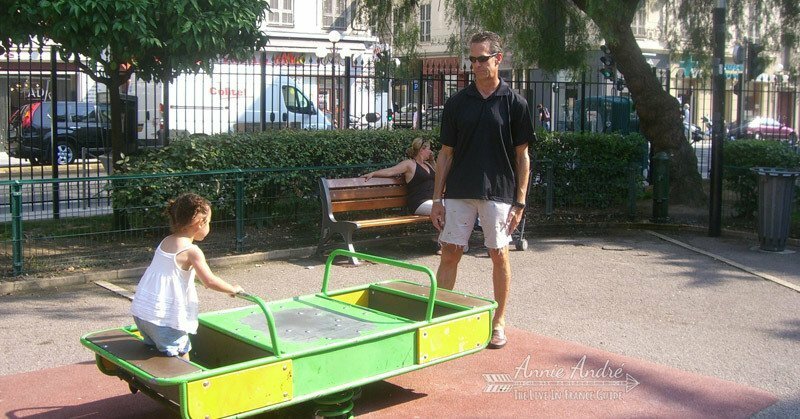 The park is a great place to take your younger kids. Here are a few to check out. Getting around Nice is fairly easy and inexpensive. There are more than one hundred bus routes in the 27 towns making up Nice Côte d’Azur, as well as an 8.7 km tramway line which crosses the city. A single ticket costs 1€ (except busses 98 and 99). What’s amazing is you can take endless day trips to surrounding areas on the train and buses for this price. We took the bus to Monaco a few towns up from Nice and it cost us 1 Euro per ticket. Can’t beat that. For slightly more you can take weekend trips to surrounding cities taking a charming train through the mountains. Visit this site to learn the train schedule and prices. All throughout France, you see these little self-service bicycle rental systems. Nice is no different. It’s called Vélo Bleu ( Blue bicycle). Self-service bicycle rental is a very practical and economical service that is available 24 hours 7 days a week with over 1200 self-service bicycles and 120 stations located around the city. It’s a great way to discover the city unhindered by public transportation schedules. Don’t forget to make use of the 34 km of cycle-paths. 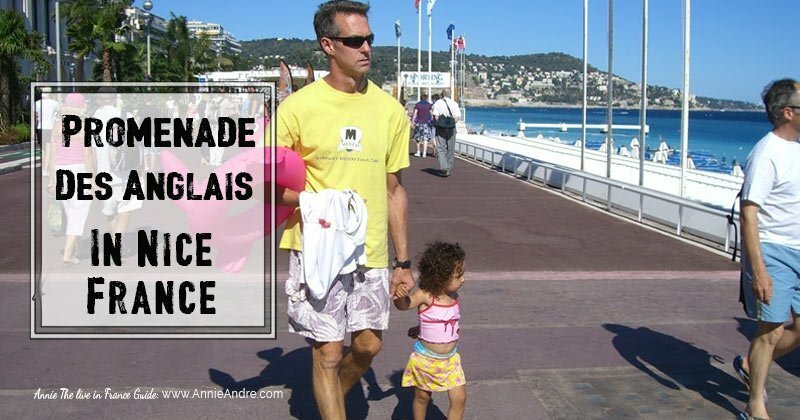 Taking a stroll along the Promenade des Anglais is the epitome of the French Riviera. Always bustling with parades passing, people walking, tourists relaxing, people rollerblading, biking, jogging. Lot’s of restaurants and things to look at as you walk or skate or cycle. 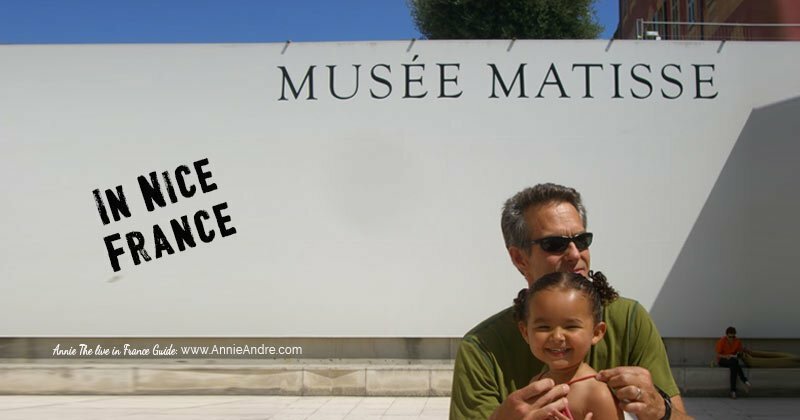 Much of the lovely art of World Renowned French Artist Henri Matisse is housed at the Musee Matisse. Located not far from where Matisse used to live. This vast museum shows Matisse’s works from earlier more traditional periods to the end of his career. They even have some of his personal effects on display. Don’t forget to stop by the gift shop to pick up some prints of his work and souvenirs for folks back home. Old Town or “Vieux Ville” is oozing with atmosphere. Take a stroll down its many narrow streets and you cannot help but get a true sense of what Niçoise culture was like. Stop and peruse the many shops to buy typical fruits, yummy cheeses fresh bread, Provençal wares, wine, clothing and more. There is also a labyrinth of restaurants to eat at with fun bars and nightclubs to visit. We spend a lot of time discovering new sections of this part of the city that made me feel like a rat in a maze. The miniature train will take you from the Promenade des Anglais all the way up to the château gardens high above Nice. Remember to take your camera with you! 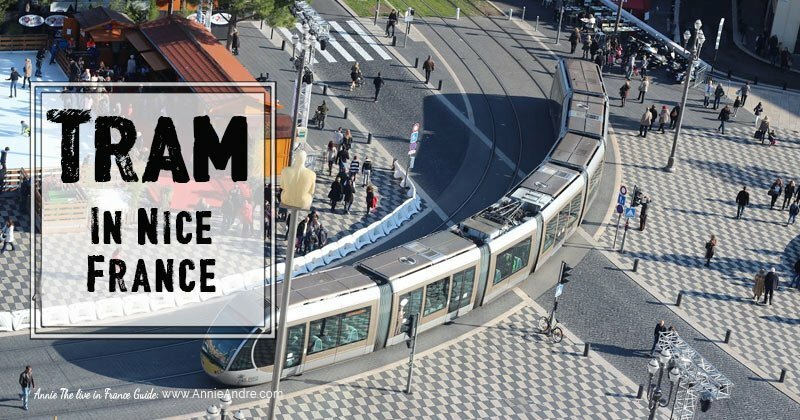 The train passes Place Masséna, then runs along the maze of lanes in the old town, continues past the famous flower market then climbs up château hill where you can admire the splendid view of the wonderful Baie des Anges. 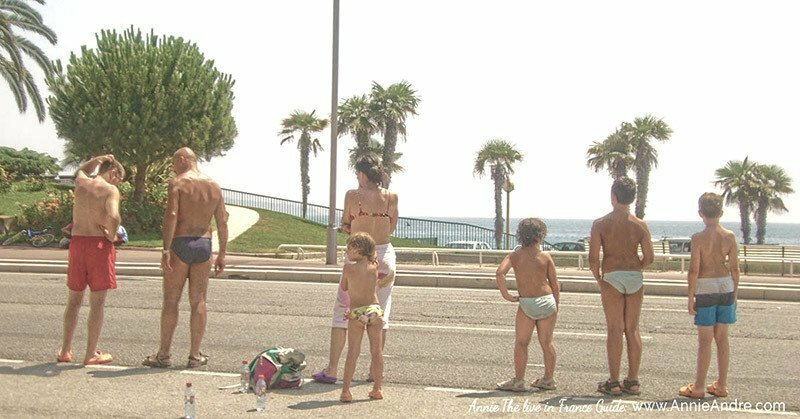 It returns via the seafront esplanade along the Baie des Anges and Promenade des Anglais. During the summer season, it can get quite hot. 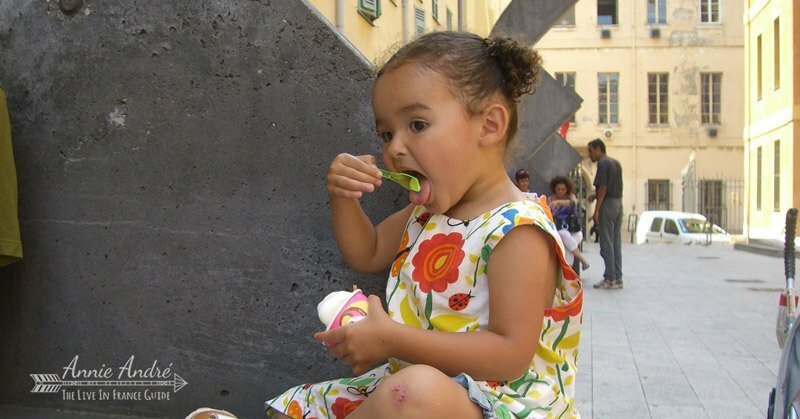 What better excuse do you have than to try the many types of gelato. Just remember 1 scoop is “un boule” and flavours are called “parfum”. Unexpected but good flavours are watermelon and lavender. Self explanatory. 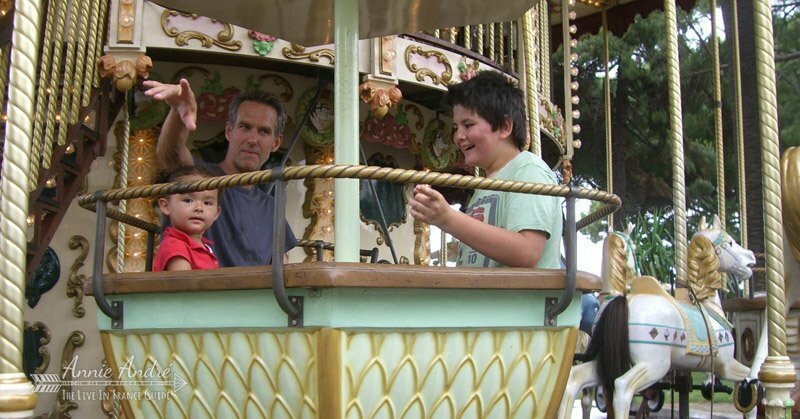 Kids and adults love carrousels. My husband loves wine. 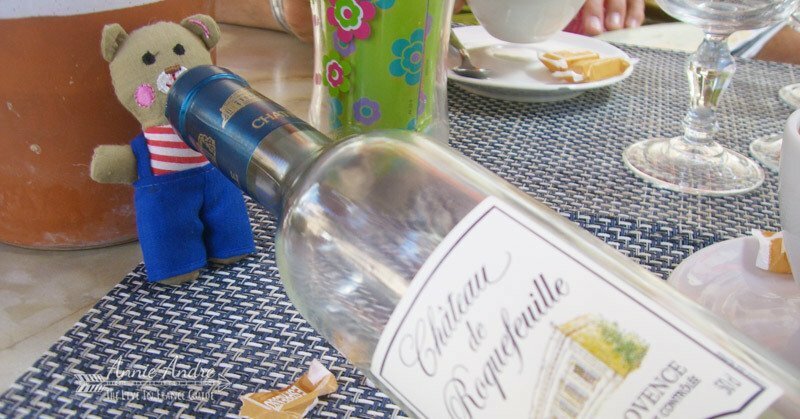 We were surprised to learn that bottles of wine which were 10, 20 even 30 dollars in the US and Canada were but a few euros in France. Yahooooo. 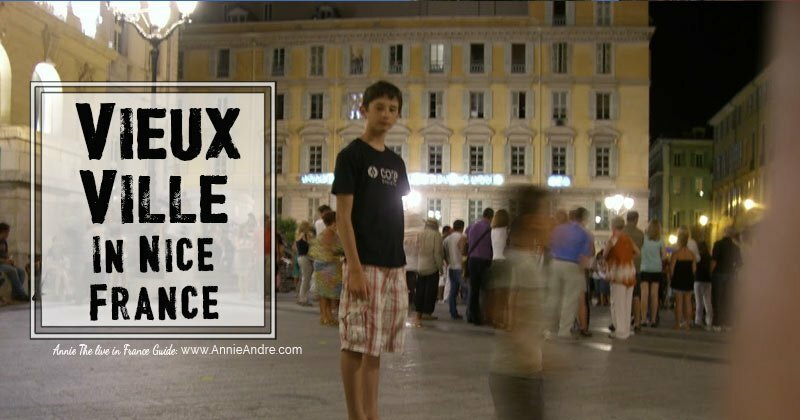 These are so many more reasons to visit Nice but one of my favourite reasons to travel and visit places like Nice is to not only see and explore new places but to expose and expand the horizons of my children. 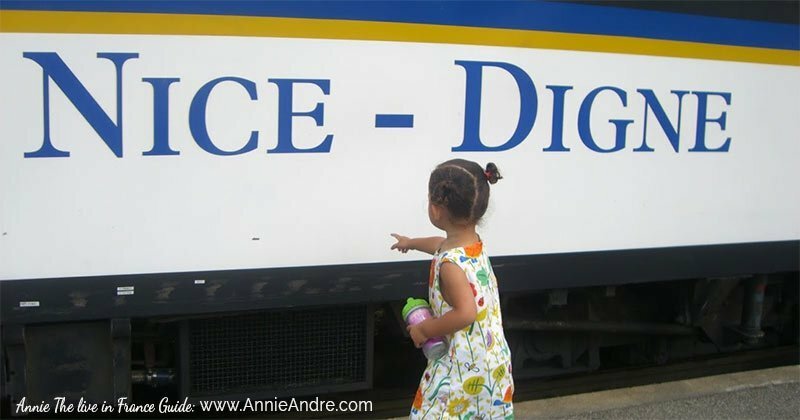 Too often people think that once you have kids, you cannot enjoy travel or that it is too expensive. If planned carefully, a trip to Nice can be done affordably and on a budget. We usually use Airbnb to find apartments or houses to rent because it’s more comfortable than a hotel and less expensive. If you want to book a hotel, try Booking.com.